Audacity is one of the best ways to edit audio files, so it's only natural to want to convert files with the program too. However, when you need to export an audio file in a format like WAV to MP3, you'll quickly learn that, by default, you can't do it—unless you tell Audacity where to find the LAME MP3 encoder. 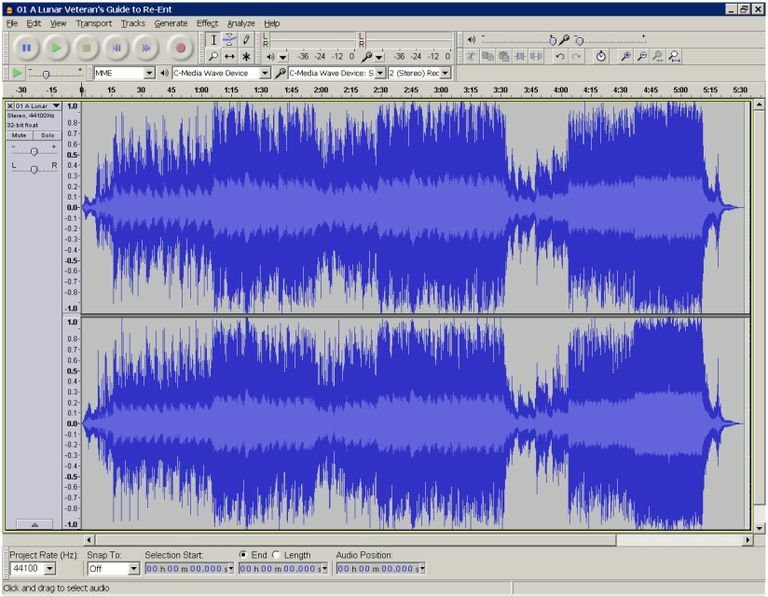 When you use the LAME MP3 encoder in Audacity, you can reduce the space that the audio files are using on your hard drive because MP3 is a lossy format (i.e., not a bit-perfect conversion) that saves the audio to a compressed format. While lots of MP3 converters are available, Audacity is one that boasts an impressive number of features but remains easy to use. Plus, it works in Windows, macOS, and Linux. Don't Have Audacity or LAME? Download Audacity if you don't already have it. Download the LAME file that corresponds with your operating system. Windows: Download the LAME encoder installer package. Double-click the EXE file and accept the default file destination path. macOS: Download the LAME library DMG package. Extract the contents of the DMG file and then open the PKG file to install libmp3lame.dylib to "/usr/local/lib/audacity." With Audacity installed and the proper LAME files ready to go, you can now convert from WAV to MP3. Go to File > Open in Audacity. Select the WAV file you want to convert to MP3, and click Open. Go to File > Export > Export as MP3. Find and select a folder where you want to save the MP3. You can also change the name of the file there if you want. Optionally, before saving, you can edit the bit rate mode, quality, variable speed, and other settings for the MP3. These options are at the bottom of the Export Audio window. Edit the metadata tags if you want something else to be included there. You can edit the artist name, track title, genre, and more. Audacity converts the file to MP3 in the folder you chose above. You'll know the conversion has finished when the conversion window goes away and you're left with the original WAV file you opened in Audacity. If you get a lame_enc.dll error or a similar message about how Audacity can't convert to MP3, you need to tell the program where it can find the LAME encoder library. Locate the folder where you extracted the LAME binaries, and click Open. The file is called lame_enc.dll in Windows and libmp3lame.dylib in macOS. Click OK on the Locate LAME window. Audacity then continues with the conversion. Alternatively, you can go to Edit > Preferences > Libraries and click Locate... to select the LAME plugin. In Windows, you can expect to find the file in "C:\Program Files (x86)\Lame For Audacity;" Mac users should look in "/usr/local/lib/audacity/."